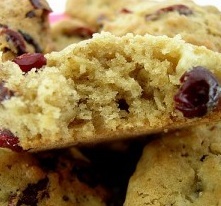 I love cranberries so I had to try out this cranberry cookie recipe. It was extremely good. Very moist! I ate almoste the entire batch in one sitting.